Earlier this month we were entertained and stimulated by the Dean of Christ Church on the subject of Ethics in public life – with an emphasis on advertising and where to draw the line to avoid giving offence. It so happens that the Dean’s wife, the Reverend Emma Percy, chaplain of Trinity College, Oxford, might easily have been our guest next month since she shares many of the views of our speaker in October, Dr Nicola Slee. Both are members of WATCH (Women and the Church) and are amongst those whom the Daily Mail might typically quote when writing about sexism and political correctness in the church. Many of us have just about managed to move on from our childish view of God as a bearded white man in the sky and have spent a lifetime trying to work out what should replace that image. In many churches and commentaries it has become quite common for God to be referred to always (even repeatedly) as ‘God’ rather than ‘he’, even in sentences where the word recurs several times. We also avoid ‘man’, ‘mankind’, ‘all men’, etc – even if it means adapting the words of ancient and well-known hymns and indeed the liturgy. When we use only male language for God we reinforce the idea that God is like a man and, in doing so, suggest that men are therefore more like God than women. This means that women can see themselves as less holy and less able to represent Christ in the world. Nicola Slee, along with five other women and two men, is an Hon Vice President of WATCH. The Chair is Hilary Cotton, who insisted earlier this year that this was ‘not a campaigning issue’ so much as an ‘experiment’ designed to ‘encourage people to expand their imagery of God'. Dr Nicola Slee is a feminist theologian and poet and has written extensively in the fields of Christian feminist theology, liturgy, spirituality and education. She is a research fellow at the Queen’s Foundation for Ecumenical Theological Education, Birmingham. Her books include Faith and Feminism (2003) and Praying like a woman (2004) and more recently Seeking the risen Christa (2011). 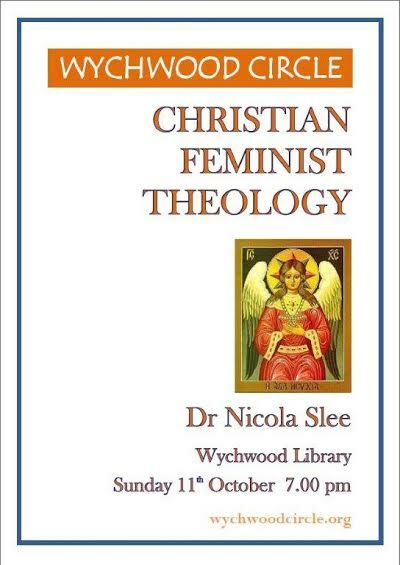 We look forward very much to her visit to Wychwood Circle on October 11th at 7pm, when she will give us An Introduction to Christian Feminist Theology. 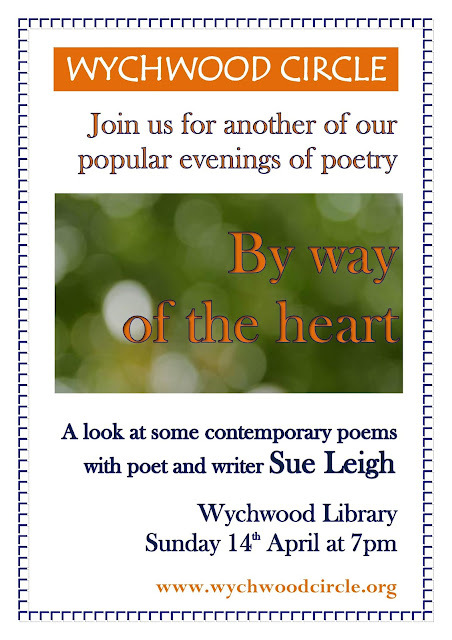 As always anyone, male or female, of any persuasion, and of any faith or of none, will be welcome at Wychwood Library in the High Street of Milton under Wychwood (OX7 6LD).